The latest update for Holospark’s cooperative sci-fi shooter Earthfall is now available on Xbox One, PlayStation 4 and PC via Steam. 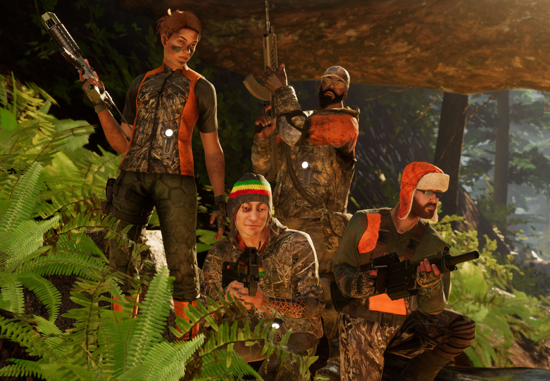 The Militia Update, which is free for all players, introduces the brand-new grenade launcher, new hunting-themed character outfits and camouflaged weapon skins. Militia is the second free content update for Earthfall. It follows August’s Inferno Update, which added the new Inferno Level, Fire Spitter and Fire Sapper enemies, fire-themed weapon skins and the new P90 compact SMG. October sees the launch of Invasion, a major update adding community-requested features such as a new Horde Mode and Player Progression. This latest update for Earthfall will also include fixes for various bugs. Developed by Holospark, Earthfall is available on Xbox One, PlayStation 4 and PC. The standard edition is available for $29.99 on Steam, PlayStation Store, and Xbox Marketplace. A special Deluxe boxed copy edition of Earthfall, which features exclusive character and weapon skins, can be found at retailers for $39.99.